The Series LLC, while not available in every state, can be used in other states if properly done. This article discusses the feasibility in particular of using a Delaware Series LLC in other states that don’t have a Series LLC statute. The series LLC is a form of a limited liability company that provides liability protection across multiple “series”, each of which is theoretically protected from liabilities arising from the other series. It is similar to a parent/subsidiary structure, such as GM and it’s various brands. For a real estate investor with 3 properties, protecting the equity would require that each property would be owned by a separate LLC, all three LLCs being owned by a master LLC. 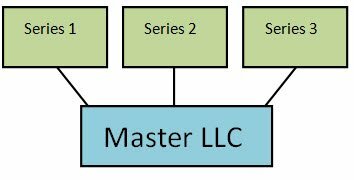 In other words, each LLC is single member, with the sole member being the Master LLC. This would require forming four entities and filing annual reports and documentation for the four entities. “The debts, liabilities, obligations and expenses incurred, contracted for or otherwise existing with respect to a particular series shall be enforceable against the assets of such series only, and not against the assets of the company generally or any other series thereof,” 6 Delaware Code Section 18-215. The series LLC was first offered in Delaware, and is also now available in about 9 other states (DE, IL, IA, NV, OK, TN, TX, UT, WI, KS) . 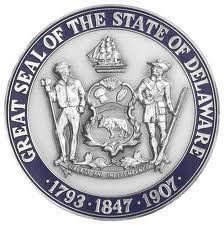 A Delaware Series LLC in other states can be accomplished by registered in other states as a foreign entity, theoretically making it available in all states. I say theoretically because if, for example, a Delaware series was operating in New York, would New York courts look to Delaware law or its own law to resolve the liability issues. Some legal commentators believe so, and others are not ready to give the stamp of approval without some guidance from courts. When LLCs first came on the horizon, many legal commentators were unsure as well, and now LLCs are universally accepted by the legal community. With 10 states now authorizing LLCs by statute, it appears that the many states will likely follow, and my guess is that courts will follow the law of Delaware for a Delaware Series LLC. Of course, each client should be advised of these risks. Holding Title. Can a series hold title in its name and will title insurance companies outside of the 10 states insure it? This is an unanswered question, which is why I recommend titling each real estate asset in a land trust with the beneficiary being a series. This will satisfy the title underwriters because trusts can hold title without major issues. Insurance. Can a series be insured as a series? Can a Series File Bankruptcy? This issue is unanswered. Tax Returns. Does each series file a tax return? The IRS answered this question last year, saying that each series is a separate entity, depending on the structure of the particular series. In the example above, each series would be a disregarded (single member) entity. Thus all income from the different series would be reported on the main LLC’s return. Theoretically, each series can choose to be taxed differently, for example an S corporation. Bank Accounts. Each series should have a separate bank account and set of accounting records, whether or not state law requires it (not all states do). A series LLC is filed with one of the 10 states that authorize it by statute. The articles of organization must contain relevant references to the series LLC statute. The operating agreement of the Company will permit individual series, and then each series is created by paper. Thus, there is theoretically no filing of each series with the state. Particularly in non-series states, the company, at a minimum, must be registered with the secretary of state as a foreign entity, then a dba should be filed for each series. California and Tennessee have come to the odd conclusion that each is a separate company for franchise tax filing. Thus, the series may lose its luster in those states. In conclusion, one should be cautious but optimistic that the series LLC will be the ultimate asset protection tool for real estate investors and those with multiple classes of assets they want to protect. Using a Delaware Series LLC in other states might be the solution in some cases to bridge the gap. Visit www.legalwiz.com to form a Delaware Series LLC – best price on the Internet!